Now, to be honest, I’m not much for awards and all that. But I’m very happy about by this one, because of the place that Star Wars holds in my childhood, and how much of an influence it had on me. I do what I do now, to a fair extent, because of the impression Star Wars made on me in the summer of 1977. The movie fired my imagination like nothing else. I still vividly remember sitting in the theater, my jaw hitting the floor when the Star Destroyer rumbled overhead and just kept going, and going, and going. I’d never seen anything like it. I bought the trading cards and the books and the toys and the glasses at Burger King. And I bought the comics from Marvel that continued the story. I was transfixed by the comics, even that guy who was a giant green bunny. I kept up with those original Star Wars comics for a few years, even when my interest in other comics waned. So getting the chance to contribute to that mythology years later was a huge treat. I’m not prone to phrases like “a dream come true,” but it was pretty damn close. 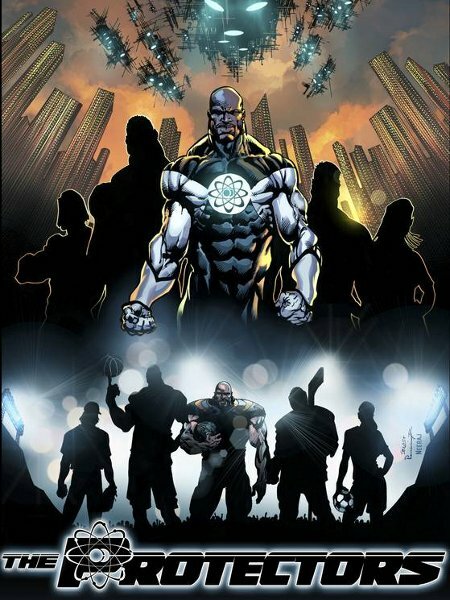 I’ve written more issues of things like Witchblade, Green Lantern and Silver Surfer than I have Star Wars issues. But I don’t think I’ve ever had a signing that didn’t include some Star Wars books. I tended to want to write the established characters. That made it more of a chore to fit my stories into the established continuity, since the adventures of Luke and Han and Leia had been mined so thoroughly in previous comics and novels. It’s a lot easier to tell tales about the “third Stormtrooper from the left” rather than the icon characters. But, for me at least, not quite as much fun. 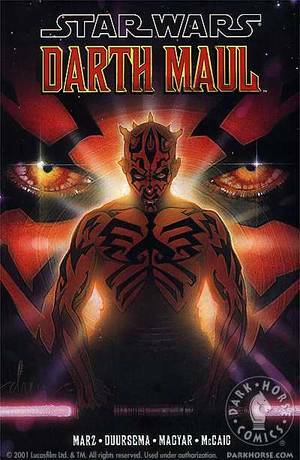 I was especially drawn to the villains, Vader and Maul in particular. 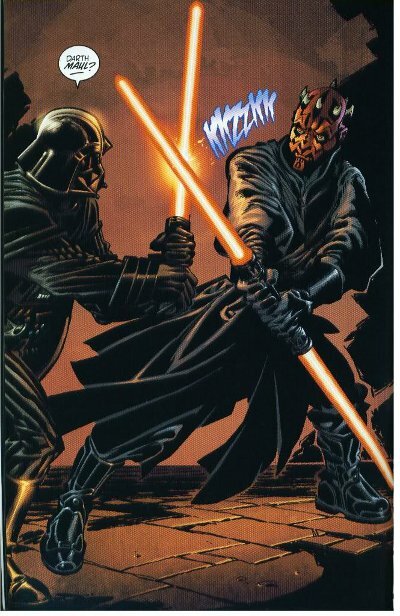 My favorite jobs were the Darth Maul mini with Jan Duursema, the Darth Vader story with Claudio Castellini from Star Wars Tales, and the Vader vs. Maul slugfest with Rick Leonardi and Terry Austin from Star Wars Tales. Those last two are “non-canon” stories by virtue of appearing in Star Wars Tales, but I wrote them so they could easily fit into the existing continuity. Ironically, probably one of the few times in my career that I’ve been overly concerned with continuity. I’m asked fairly often when/if I’ll be doing more Star Wars comics. And the answer is … I don’t know. I certainly wouldn’t mind visiting that universe again. But my schedule is pretty packed for the foreseeable future, and any extra time I can squeeze out is apt to be applied to creator-owned work. But never say never. 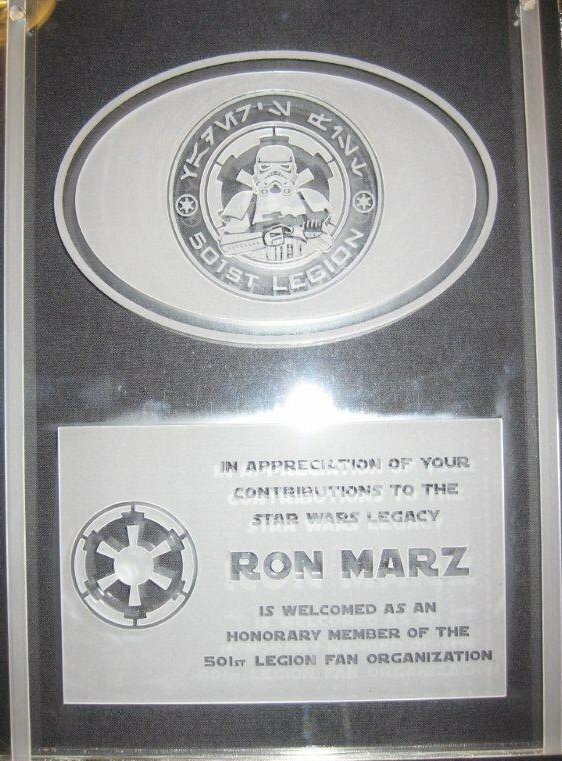 The recognition by the 501st is very flattering, and I’m truly thankful. But I got far more out of Star Wars than I ever contributed to it. I just hope the stories I wrote provide some inspiration for someone else, and we keep paying it forward.